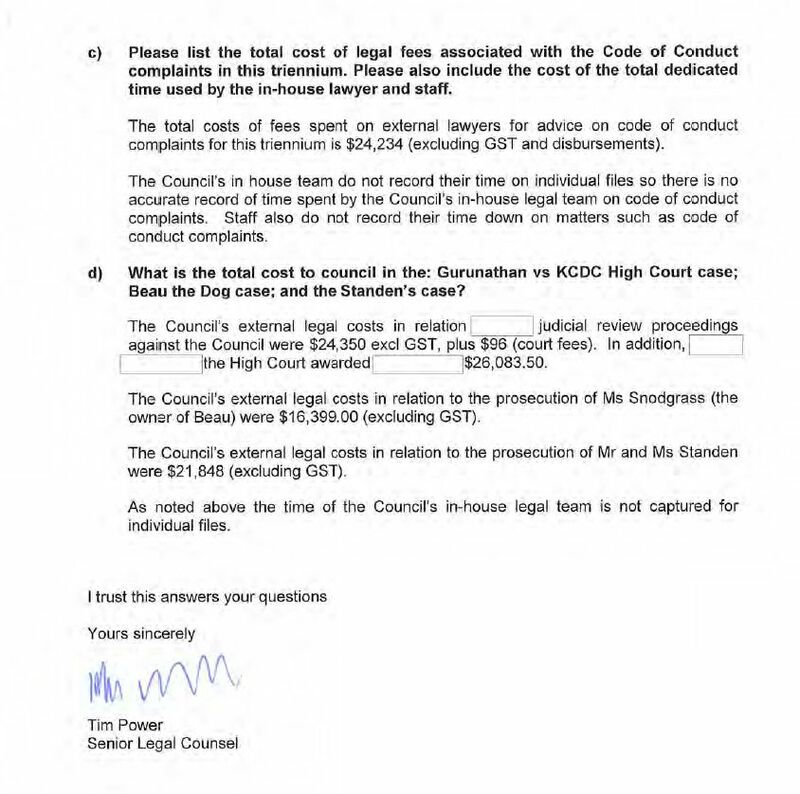 A copy of its response to an OIA request is shown below. The total amounts to an impressive $1,696,000 for the past three years, or an average $565,300 a year. 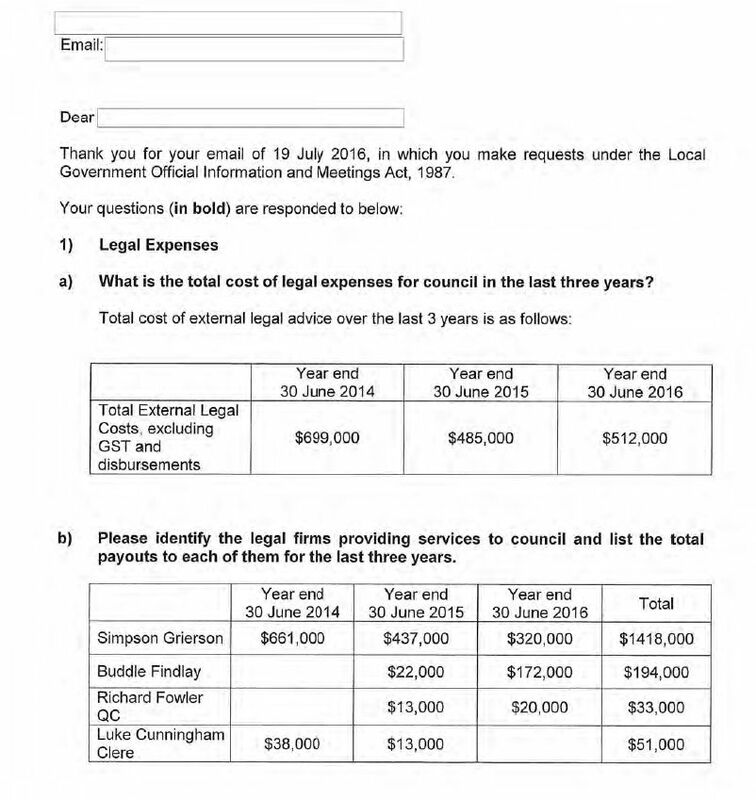 Good revenue for the lawyers involved, not good for the District’s ratepayers.